I’ve started and stopped this post about 100 times since January. My head was filled with so many things that any time I’d sit down to write a new post I’d get all restless and distracted. My thoughts would eventually seize up like a bad hollandaise sauce (bless the delete button…). Yes, I know. Excuses, excuses. The truth is, I’ve been busy working on a very special project; one that’s literally consumed all of my time, thoughts, energy- you name it. Every day, I’d wake up and dive head first into the arduous task of balancing creativity with life, kids, work, and whatever else. It wasn’t easy and I took on way more than I could handle (hence the radio silence in this space). But now I’m delighted to report that it’s over! No more deadlines. No more pressure. All of the pages have been signed, sealed, and delivered to my editor and we are in the final stages of completing the details. For the past several months, I’ve been submerged in writing, baking, and creating a new book that I’m really excited to share. But first, I do sincerely apologize if I left any of you hanging- I can’t stress this enough. I really had to dig deep and barricade myself in order to think and truly write from the heart. I even have that ‘mad writer’s look’ with crazy hair and bags under my eyes to prove it. Before I got into blogging, I taught myself how to bake sourdough. Occasionally, I’d post a recipe here and there and that was it. Most of my sourdough baking endeavors went undocumented. Behind the scenes however, I was busy baking away and scribbling recipes onto the pages of tattered notebooks, the back of bills, and whatever else I could get my hands on. This became my most prized sourdough collection and I hoped to have them published in print one day. Ironically, when brainstorming ideas for my first cookbook the concept of sourdough had initially come to mind. But instinctively, I knew it wasn’t the right debut book. So, I waited…. patiently. When my publisher approached me to write a second book, I knew that the time was now. In October of this year, 2017, Artisan Sourdough Made Simple will hit the shelves wherever books are sold! You’ll find over 65 easy to follow recipes including my Everyday Sourdough, soft sandwich bread, hearty whole-grain loaves, twists, braids, and so much more! 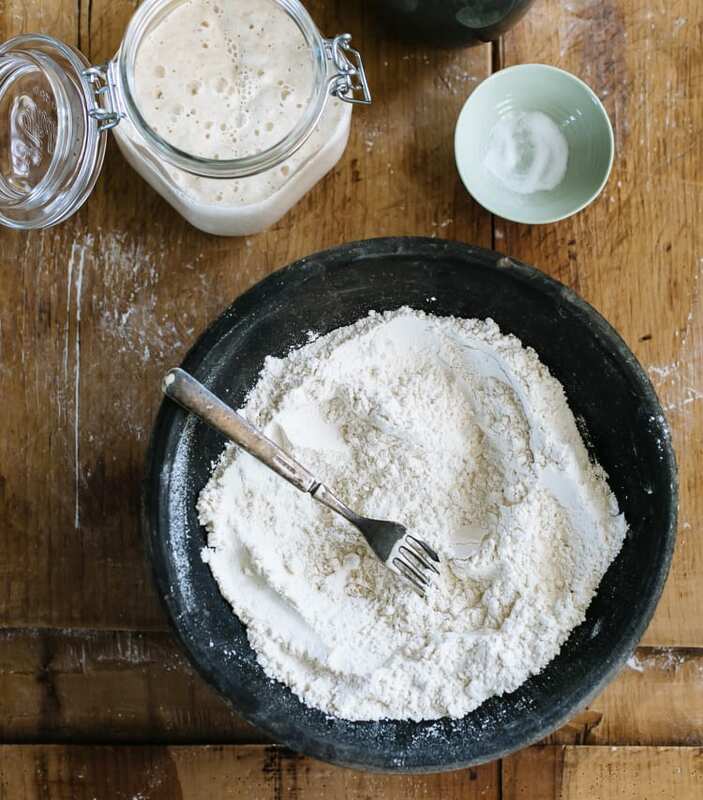 You’ll even learn how to create your very own sourdough starter with easy to follow storage options and tips. And there’s plenty of step-by-step photos to inspire you along the way. This book is not just recipes; it’s a beginner’s guide. You don’t have to have any working knowledge of sourdough to get started. You don’t even have to be a baker. Anyone can dive right in, and in my opinion it’s the best way to learn. So that’s where I’ve been friends! It’s been a wild ride since the start of this year but it’s all settling down nicely. I do hope you’ll join me as I gradually transition back into updating this space. There will be more details about the book when it’s time to pre-order, but in the meantime if you have any questions, please let me know! I’d love to hear how you all have been doing too! Cook anything fun lately? Any sourdough baker’s out there? Thank you for sharing your wonderful news and can’t wait to get the book. It was so good to receive your email this morning-you have been very much missed! Wonderful! Is that going to be the cover of your book? Or is it asking too many details too early? just saying… it is a gorgeous photo! Hi Sally! No, it’s not the cover ;) But it’s on the intro page in the book. I’m so glad that you like it! Thank you so much! If you’d like, you can see the cover here: https://goo.gl/BIuexh. And yes, it was a marathon indeed. I’d like to use this phrase “it kicked my you-know-what! !” Hugs to you! it shall be mine, all mine! 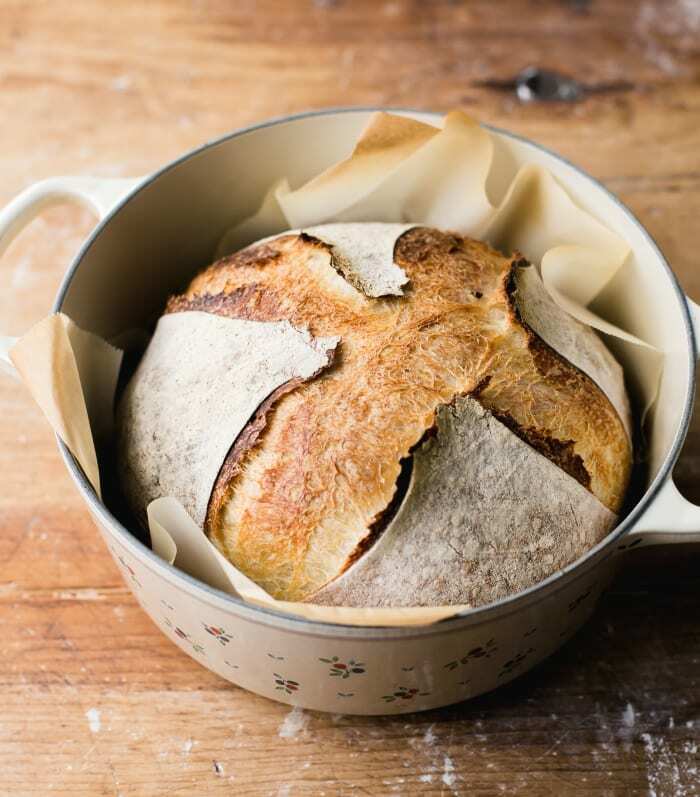 How do you get your new sourdough book ? Congratulations! I had a feeling, and was hoping, you were going to say cookbook number two!! I can imagine that the job of writing a cookbook kept balanced with life, kids, work and everything else must be daunting at times! I look forward to your lovely new book! Hi Emelia, I am a sourdough maker and have got it down to an almost effortless exercise. Will look out for the book – many congratulations; life does get impossibly busy so very well done. Hi there! Another sourdough baker- welcome! I’d love to hear all about your exercise. One of the things that fascinates me the most is how flexible sourdough really is. Each baker has their own unique way of incorporating slow bread into modern day. Thank you for your support! I started following you because of your sourdough and I’ll buy your book because if it too! I’m excited! Was so happy to see your email! Congratulations on the new book. I will look for it. I have always wanted to try baking my own bread but was intimidated. Your book sounds like the perfect way to get over that! How exciting! I was going to say that I hope there’s a chapter about what to do when your sourdough loaf is so heavy it could double as a doorstep, but then I realised that the whole idea is to follow your instructions so that the loaves don’t turn out like that. A book to go on my wishlist. Great news, but will this book be available to purchase digitally? I don’tluve in the US. Wonderful news and congratulations!!! I am so looking forward to this next chapter of your creativity and talent. I’m pre ordering now. Hi Laura! Thank you! I’m excited to be back too, it feels great! How wonderful Emilie! I’m so looking forward to book number two! Your first cookbook is a joy to use. And I’m definitely a newbie when it comes to sourdough. Love eating it. Just haven’t been brace enough to bake it yet!! It’s so nice to see you here! Thank you so much for your sweet words! 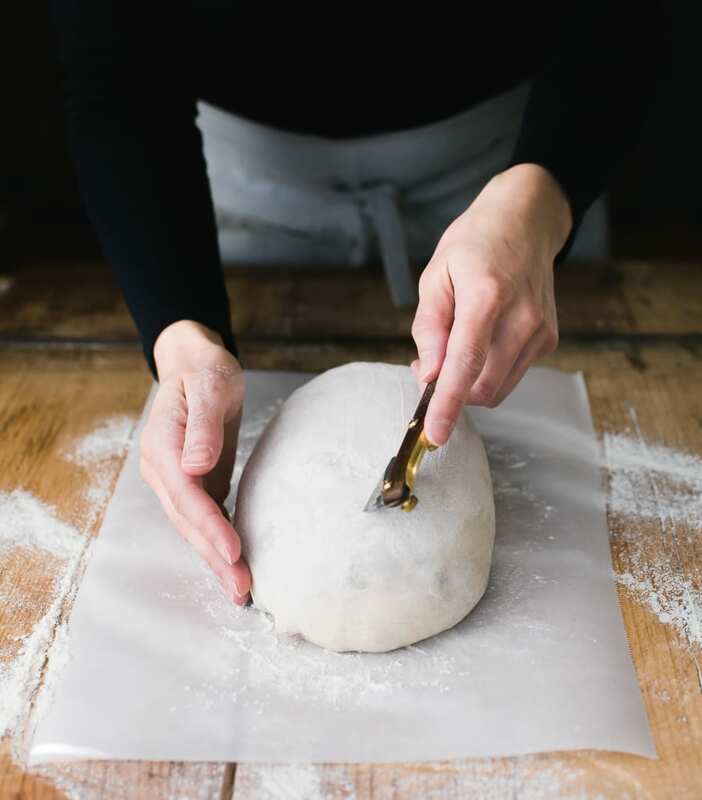 I wish I could give you a hug ;) You know, the cool thing about sourdough is that you don’t need to know it all before you begin- it just looks complicated because half of the things we are exposed to (social media + bread forums) are oftentimes so advanced! I had no knowledge of sourdough when I started. And in my opinion, jumping in head first is a great way to learn. I hope you give it a go when you’re ready! Congratulations! Very exciting news … was thinking of you just this week as I printed your brioche recipe (once again) for a customer of mine who just took a sour dough making class. Your brioche recipe is one of my all time favorites because it’s just so easy and it brings tears to my partner’s eyes (no joke) when I make it. She loves it and there’s nothing more homey and comfortable than baking bread. It’s the ‘gluten’ that binds us ;) It’ll be Christmas in October when your book arrives! Thank you so much! Oh, I’m so happy to hear that you like the brioche. Who doesn’t love a good buttery brioche, right?! Happy to hear that your partner likes it as well. I’ve cried over food before, lol ;) And may the gluten be with you too. THANK YOU for your support! I’m so excited and just preordered! I barely survive every day, I don’t know how you managed to write a book too. The new book sound wonderful. I am always looking to improve/enlarge my sourdough repertoire. Can’t wait to read it. A good sandwich bread would be awesome. My English muffin bread is too crumbly, and my sourdough boules are great, but sometimes you just don’t want super crunchy crusty bread. Your low hydration sourdough recipe was my first ever attempt at sourdough and is still my go-to recipe. I am very excited for your book and have already pre-ordered! I was wondering just today where you were. I have never made sourdough but I am excited to learn. I preordered since I love your first cookbook. Welcome back. WOW! Congratulations, can’t wait for the new book, love your first one! How exciting! Congratulations!! My husband has been perfecting his sourdough and it has been a challenging road! I can’t wait to share your cookbook with him! I’ve been trying to learn sourdough bread baking too. Sometimes successful, yet not consistent. I’ll be getting your book and comparing notes to your techniques, and hopefully will develop as a bread baker! Excited about your news! Hi Emilie! I knew you were writing a cookbook about breads etc, but I did not know it was coming out in Oct! I am so thrilled and excited for you and I know it is going to be as good or even better than the your first book! Am sure it is hard to juggle with family/work and other things that we moms do! But You are a trooper! Good luck and best wishes with the new cookbook :) Cant wait to see it! SO SO happy that you are back. I know this book is going to be a HIT and I cannot wait to get my hands on it. Cheers to your success my friend. You have so much to be proud of. Oh hooray, Em! I keep trying from Tartine No. 3 and my bread is good, but still not quite where I want it to be. I’m going to have to give your book a try. How exciting! It’s been so quiet around here so it’s good to know you are well! Congrats on the wonderful sounding new cookbook Emilie! What an exciting endeavor!!! Yay Emilie! I’m so excited and proud of you! Book number two, phew, what a feat – and on sourdough bread alone. You’re amazing. I’m super excited to learn from you with this new book, I’m such a sourdough novice. And also so happy to see you back in this space, you’re amazing presence was missed! Lots of love and congratulatory hugs from the other coast friend – XO. Congratulations on Book #2! I too learned sourdough baking just by practice and am happy to say my sourdough mother has been alive in my fridge for almost a year now as I keep baking and loving it. Can’t wait to check out your book!